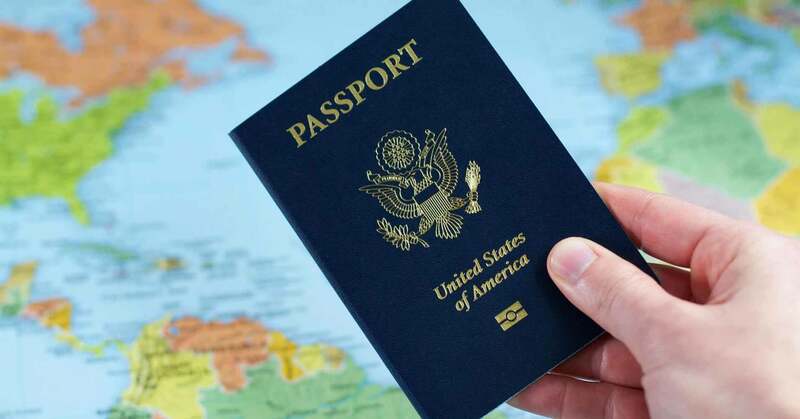 U.S. Citizens or Americans with a valid U.S. passport for more than 6 months do not need to get a visa to enter the U.A.E., provided the stay of the person is less than one month. The purpose of the trip could be for Tourism, business or in transit. This is applicable for U.S. Citizens who have visas or entry stamps from other countries. You may be expected to show your round trip ticket. This Dubai visa for US Citizens can be obtained at the immigration counter at the point of entry absolutely free. If the applicant wishes to stay longer than a month in the U.A.E., then the applicants should apply for a Dubai visa before their date of travel. You can also request the immigration officer in the airport for the same, but it is highly unlikely that they may entertain this request. Applicants can apply in person at the U.A.E Embassy in their respective country along with an invitation letter from a host or sponsor in Dubai. You should also be able to prove your financial stability or prove current employment in the US. It normally takes 2-3 working days to process the application and the duration of the visa is at the discretion of the Embassy officials. If in case you wish to apply for a diplomatic Dubai visa for US.. passport holders. The applicant will have to apply in person at the U.A.E. Embassy in their respective country. You will have to provide the required documentation, which is mandatory for all citizens along with an original letter from an Embassy or a U.S.
government agency or department or an organization, which is affiliated to the United Nations. There are many countries, which accept a valid U.S. military ID cards as one of the mandatory travel documents instead of a passport, but for entering U.A.E, the above-mentioned ID is not considered a valid ID. This is one of the Dubai visa requirements for U.S. Citizens should take note of especially U.S. military personnel entering or passing through Dubai. Your U.S. passport should not be expiring within six months from your date of arrival in the U.A.E. You should have a confirmed round trip ticket to any other destination other than the U.A.E. You original passport, which is signed by the bearer, should be valid for more than 3 months from the expected date of arrival in the U.A.E. A color copy of the passport and the application. Two original passport size photographs with minimum 80% face coverage. Phone number of the point of contact in U.A.E. or sponsor in the U.A.E. during your period of stay in the U.A.E. The Diplomatic Dubai visa for U.S. passport holders require a prior approval from the U.A.E authorities and the Embassy would take close to 2-3 working days to process the application. This Diplomatic Dubai visa for US Citizens entitles the applicant to enter U.A.E. for a period of maximum 180 days each with a validity of 5 years from the date of issue. This is a multiple-entry visa. Two copies of the completed typed application forms. The applicant’s residing address in the U.A.E. An original passport signed by the bearer with a validity of more than 6 months from the scheduled date of arrival in the UAE. An invitation letter from the applicant’s sponsor in the UAE. Two original passport size photographs. Name and phone number of the applicant’s point of contact in the UAE during their period of stay in the U.A.E. This visa entitles the applicant for a single entry Dubai visa that is valid for a period of 2 months with a maximum stay of one month. It normally takes 2-3 business days for the Embassy to issue a visa. This visa requires a prior approval from the UAE authorities. This is the best article regarding dubai visa .